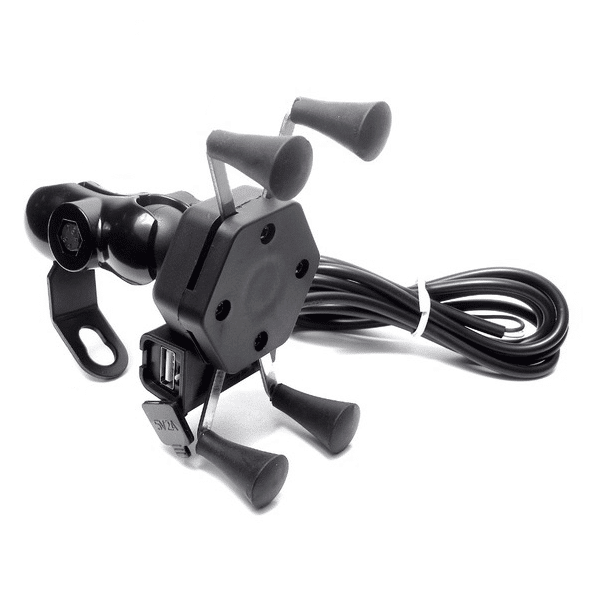 The X-Grip Phone Bike Mount USB Charger is appropriate for a wide variety of applications including driving, boating, cycling and performing. The spring loaded X-Grip features expandable grip arms for quick insertion and release of your phone or tablet. For more intense environments, X-Grip Phone Bike Mount with USB Charger comes with a rubber tether that easily holds your device in place for added piece of mind. 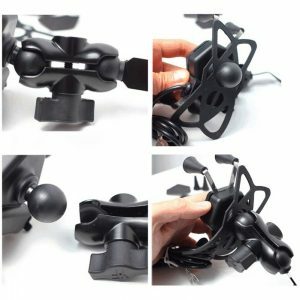 If you are looking for a compact mount for your cell phone without that cookie cutter shape, you’ve found it. 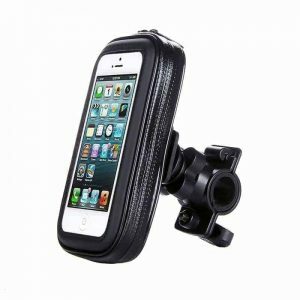 X-Grip Phone Bike Mount USB Charger expands to fit a wide range of phones and phablets while keeping all of your buttons accessible. The adjustment points at both ends of the double socket arm, allows for almost infinite adjustment and perfect viewing angles. 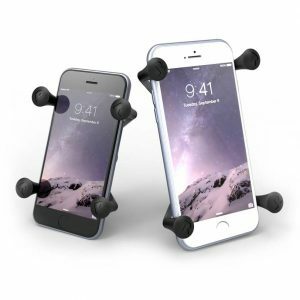 With a turn of the socket arm knob, quickly release and relocate your phone to a different mounting application. 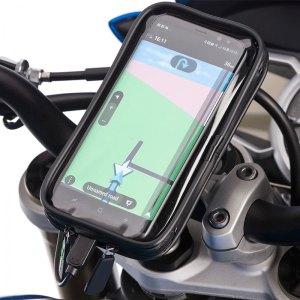 Compatible for Phone, GPS & other phones with 3.5-6 inches screen. 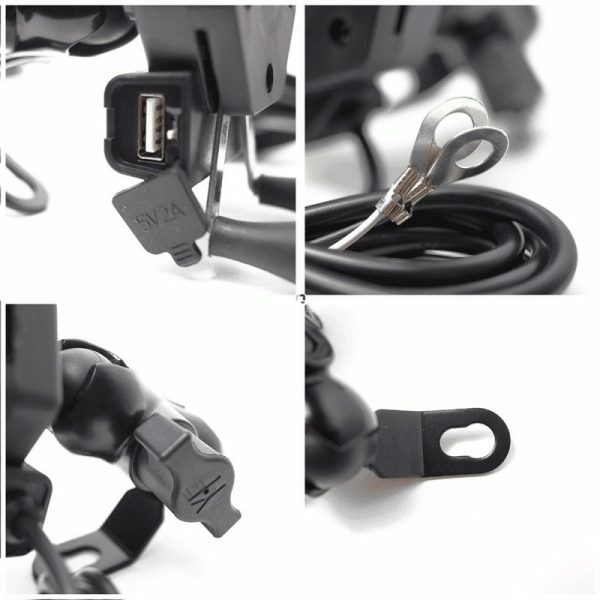 USB Charger: Equipped with a 5V 2A USB charging port, quick speed and high efficiency charging, never worry about cellphone/GPS short for battery when on a road trip. 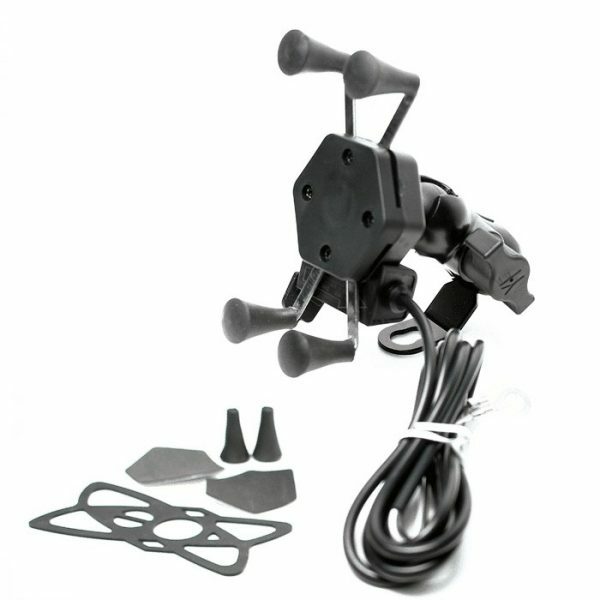 Over Load Protection: Auto power off when the charging voltage exceed 30V. Engineering Osteology Design: TWO rolling balls, 360 degree free rotation, create your own comfortable angle. Four frosted rubber feet will firmly hold your phone even in high speed. 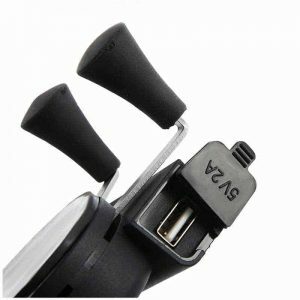 Easy Installation: Take one motorcycle rear view mirror off, put the hole of the X-Grip mount through the mirror, and re-install the mirror. Or you can use 8mm/10mm screws to install. Fit for 12-30V motorcycle, electric bicycle, scooter, ATV, car, etc. not original ram, but same tech and probably same quality too. 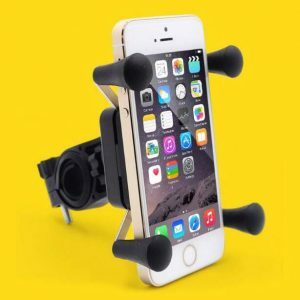 very hard grip and safe to use ur phone without cover also.